Have you ever gotten bored with the ‘regular’ investments? You know the ones- where you can invest in the total stock market or the S&P 500 or in ‘boring’ bonds. However, you don’t like international investments and want to be really aggressive. 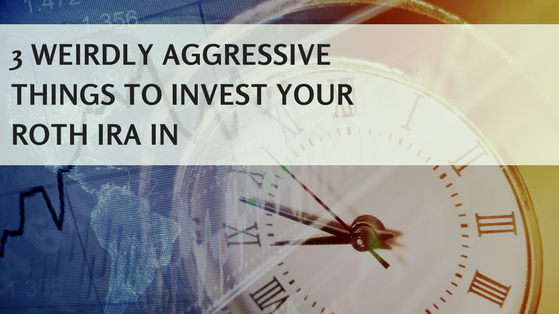 There’s no better place to get really aggressive than in your Roth IRA or your Back-Door Roth IRA where you are NEVER going to get taxed on capital gains and interest. If you’re feeling like you want an extra ‘edge’ and play around a bit, here’s a few indices and strategies that you may want to check out. This index is a modified value-weighted price index measuring the performance of the top 100 companies ranked quarterly by market capitalization in the IPOX® Global Composite Index. It utilizes a 10% capping on all constituents and includes the 100 largest, typically best performing and most liquid U.S. public offerings ("IPOs") in the IPOX® Global Composite Index. The index is a rule-based value-weighted index measuring the average performance of U.S. IPOs during the first 1000 trading days. Index constituents are selected based on quantitative initial screens. The index is reconstituted and adjusted quarterly. What does all of this mean? Basically, this allows you to potentially get on the ground floor after an initial public offering OR a spin-off WITHOUT taking individual company risk. For a long time, Facebook was part of this index. What if you could have a hand in the ‘next Facebook’ without the individual company risk? This index could be perfect for you! Most stock-market indices have been traditionally run for years and years and years without much thought as to ‘why’. For example, the Dow Jones Industrial Average is a price-weighted index meaning that the highest priced components have the highest percentage. For example, Boeing, Goldman Sachs, and 3M have the highest prices and have the largest pieces of the pie. Those three alone compose about 21% of the index! In comparison, the S&P 500 is a market-cap weighted index meaning that companies that have the highest market capitalization (shares outstanding times price) have the highest percentage. For example, Apple, Microsoft, and Facebook have the largest market caps. They comprise about 8% of the index. In contrast, News Corp, Under Armour, and Patterson Companies are the bottom 3 of the index- they ONLY make up 0.03% of the index. This has led many people to question- “Why to continue to do things this way?” This has led to the idea of ‘smart beta’ where you tweak the indices some. 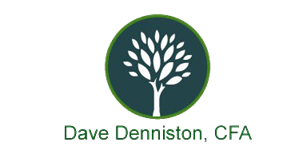 You could weigh them off of dividends or growth or revenue or virtually any other way you could conceive. Smart beta strategies have been proliferating like wild rabbits! Still not sure what the heck I am talking about? The ones I prefer are ones that use a very well-known index, like the S&P where you know all of the holdings and instead change the weighting. I’ve seen equal-weighted indices where ALL the components of the index are held EQUALLY allow you to potentially add more returns by weighting more towards mid-caps rather than large-caps. There’s a theory called DOGs of the Dow. The idea is that you buy the beaten-down, worst performing individual positions of the Dow. It’s trying to buy low and then a year later sell high. However, I’m not into buying individual stocks because they can be extremely volatile. Instead, I would rather buy indices. As a matter of fact, one strategy I like to employ is to buy the two worst sectors, hold onto them for a year and then rotate into the current two worst sectors. Yes, sometimes this can be the same sector a couple years in a row. However, most of the time it can also be employed to buy an asset class that has gotten too low and then be with it as it rebounds. It can be very powerful, but certainly also has its risks. What do you think of these strategies? Do any of them appeal to you or are they way too whacky? What’s the wackiest publicly traded security that you’ve bought? E-mail me at [email protected] with your experiences and stories. The listed 3rd party firm/individual in some of the links are not affiliated with or employees of United Planners Financial Services. United Planners does not supervise this firm/individual and take no responsibility to monitor the information/services they provide to you. Indices are unmanaged and cannot be invested into directly. *Several of the links in this article have listed 3rd party firm/individual are not affiliated with or employees of United Planners Financial Services. United Planners does not supervise this firm/individual and take no responsibility to monitor the information/services they provide to you. This page contains links to 3rd party websites. By selecting a link you will be leaving our website and launching a new browser window.